Sometimes it not just about the physical issues. 6 year old Jack Russell/Chihuahua cross Pippa was referred to us by behaviourist Debbie Peters Schooling 4 Dogs. For the past few months, Pippa had been exhibiting anxiety and shaking. Debbie wanted to make sure there were no underlying physical issues causing these behaviour patterns. When I met Pippa she came bounding down 3 flights of stairs and back up again – no noticeable issues there – thank you for that Pippa. Then once in the house, Pippa decided I was her latest plaything – bringing me her toys and sitting with me. Again, no obvious signs of physical discomfort or anxiety. What was clear though, was her movement when walking across the vinyl floored living room. She is a small dog but she was making teeny tiny deliberate steps from place to place. She also hunched her back while doing so. As soon as she reached a mat or rug, her back visibly lowered and straightened. This had given her quite a stiff back. Stiff backs in us humans can cause a lot of grief and anxiety and it is likely the same in dogs. The stiff back was one thing we could help to solve with physical therapy. But there was also the floor – lots of Mobility Islands needed of mats, runners or rugs especially by the water and food bowl so Pippa didn’t have to worry about slipping. Then there is bonding. Touch is a language all dogs understand. Using it to help with re-establishing bonding is a powerful tool. 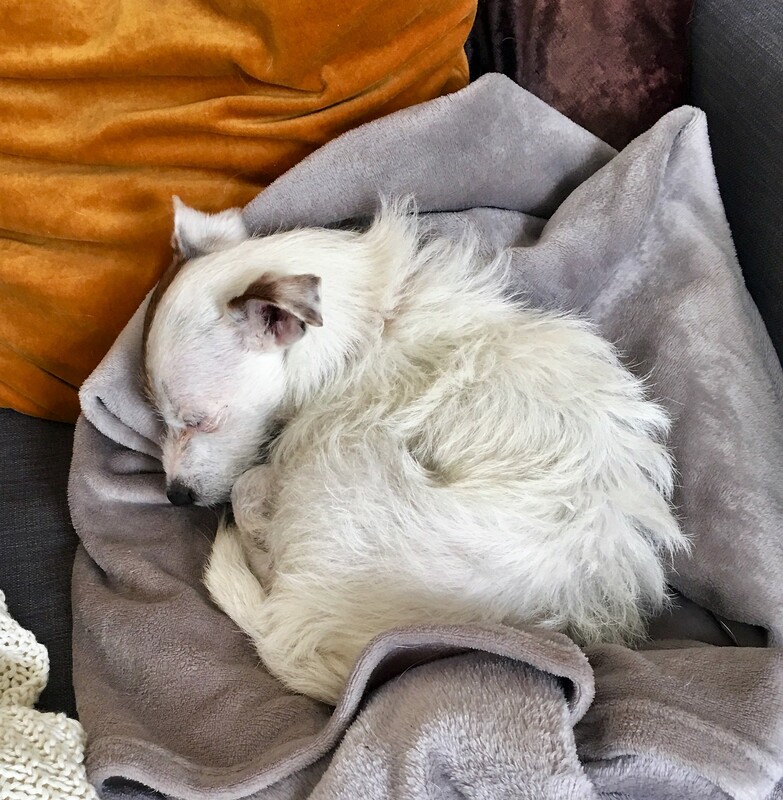 We started to build a multi-purpose massage routine that would help to ease Pippa’s overall tension, straighten her back and also to be relaxing. A few minutes a day, a few times a day. Massage was on her terms. A bit here, and a bit there. In between getting out more toys, walking round the room but always coming back for more. Until, after 2 hours, we had a breakthrough moment with Pippa demanding more and more from her Mum. Even shifting her body around so nothing was left untouched. With massage, household adaptations and some interactive play we can see how Pippa progresses before her behaviour assessment. 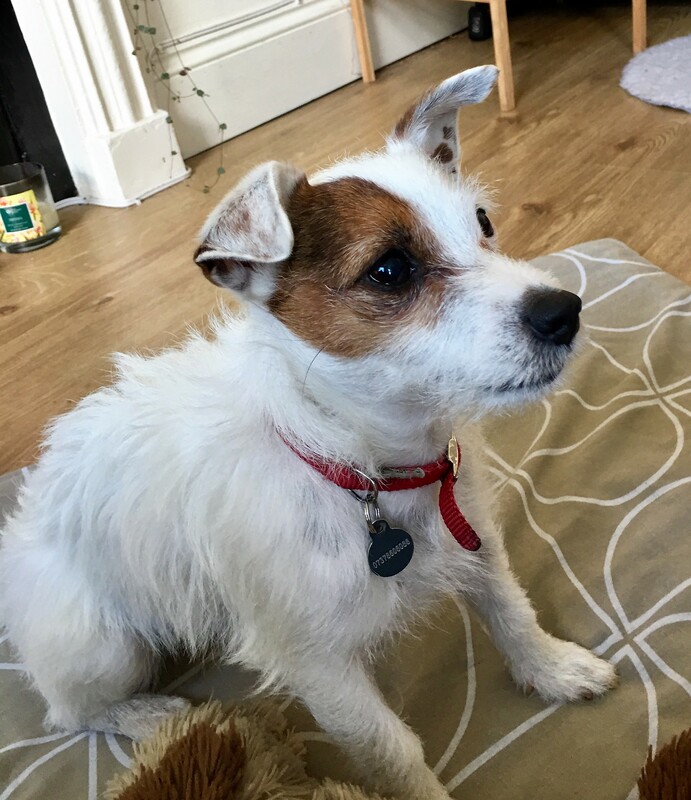 Her Mum wrote back “Thank you very much for the report, we have already noticed a difference in Pippa and she definitely appears calmer after a little massage and less shaking” so that is a positive start. This entry was posted in acheypaw, achy paws, AchyPaw, achypaw myotherapy, arthritis management, Brighton Dog Massage, canine myotherapy, canine myotherapy, dog myotherapy, achypaw myotherapy, myotherapy, achy paws, conditioning, confidence boost, Dog massage, dog myotherapy, empowerment, household adaptations, massage benefits, multimodal, multimodal therapy for dogs, myofascial release, myotherapy, not just arthritis, south coast dog massage, Testimonial, Therapeutic, therapeutic massage, training and tagged achypaw, achypaw myotherapy, Canine massage, canine myotherapy, Dog massage, dog massage courses, dog muscle therapy, massage, one to one training, prevention, south coast dog massage, south coast myotherapy, therapeutic massage. Bookmark the permalink.